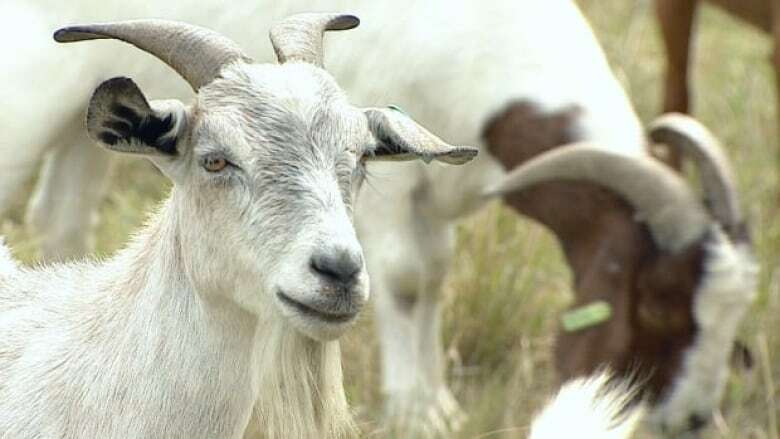 The city is looking for a candidate with the right kind of gruff to become Edmonton’s first official "goat co-ordinator." The city is looking for a candidate with the right kind of gruff to become Edmonton's first official "goat co-ordinator." The new employee will be responsible for administering the city's weed-eating herd as part of the GoatWorks pilot program. "Working both independently and as part of a team, you will be integral in the development and implementation of this program," reads the official job posting. "You will work with individuals, contractors and researchers to fulfill the program goals and engage Edmontonians in all that is Goats." Throughout the summer months, more than 200 goats are corralled through weed-infested parks across the city — munching their way through fields of noxious plants that would otherwise be sprayed with pesticides. The billies have been putting a bite on the city's weed problem since 2017, shortly after the city banned pesticides. Each goat chows down on about 4½ kilograms of weeds daily, even digesting the seeds. The city's goat co-ordinator won't be handling the animals but will be responsible for overseeing contracts, writing a finalized report of the weed-management program and organizing public "Meet and Bleat" events. The successful candidate will have a degree in horticulture, forestry, parks, recreation, environment, plus experience in forestry and gardening and a valid driver's licence. The goat co-ordinator is a temporary full-time position for up to 11 months with an hourly pay of up to $43. Applications are being accepted until March 1.